We are so excited that Christmas is getting closer. 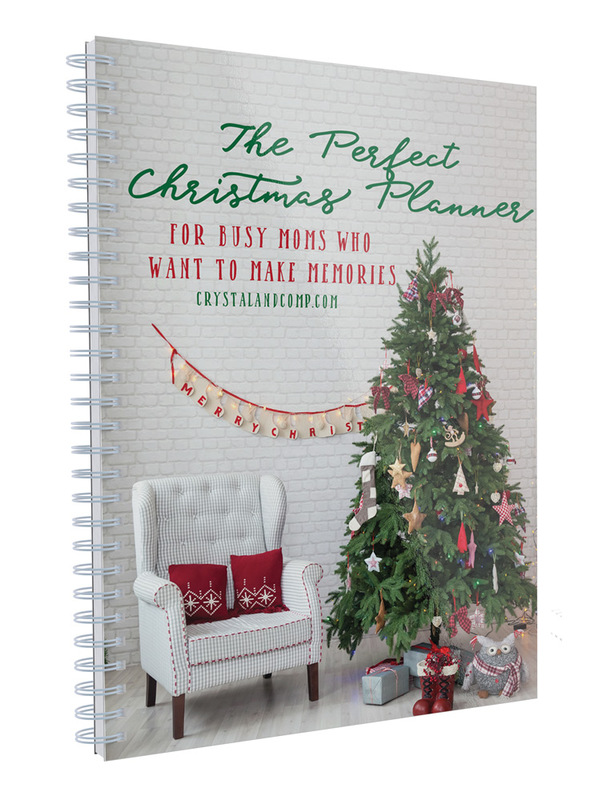 There is always anticipation about the entire Christmas season and all of the memories we share! My boys have been talking about elf and pondering the extravagance of arrival. Each year is so exciting and brings all new joy to our house. 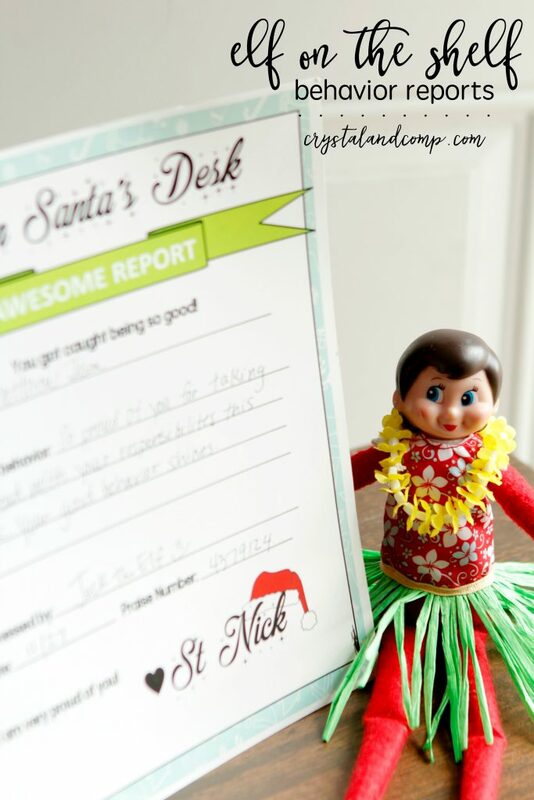 Elf on the Shelf has really been a special part of our holiday season for the past few years. 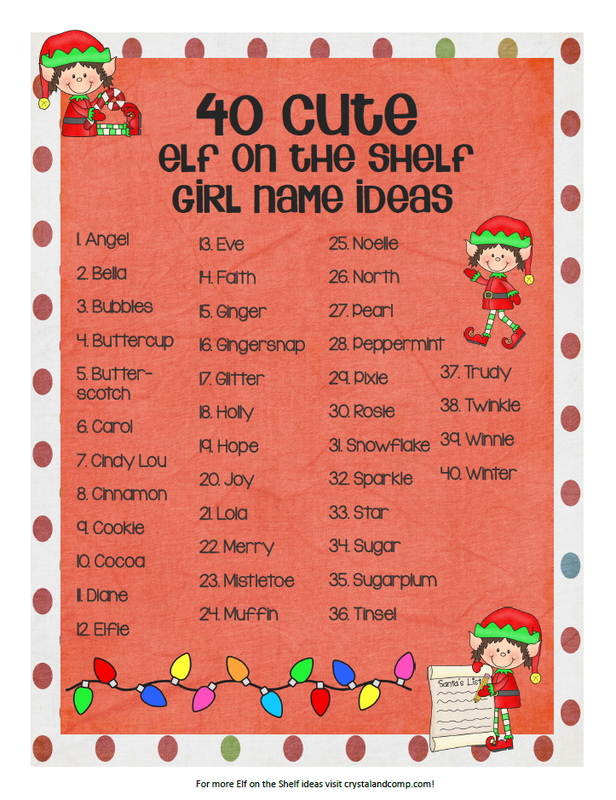 So this year things have really adapted for elf. They have all kinds of cute outfits and accessories that pair well with all kinds of plans you may have for this Christmas season. 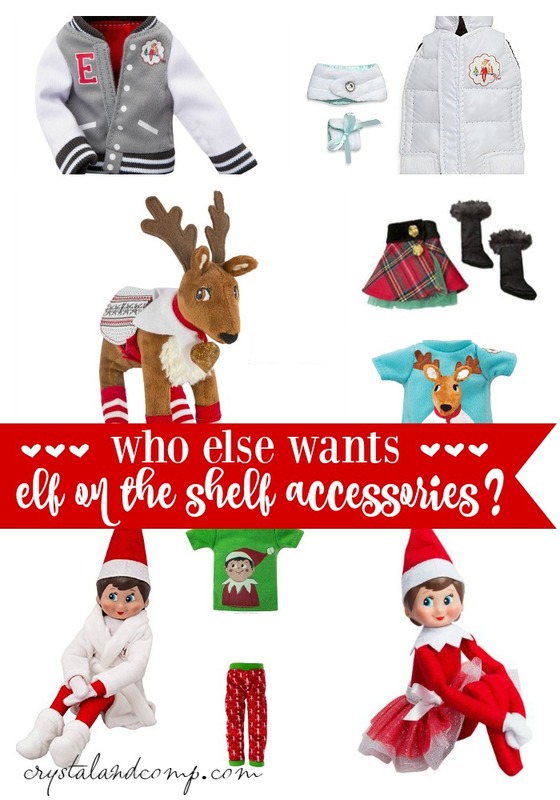 Check out these accessories that will help you take your Elf on the Shelf ideas to a whole new level. 1. 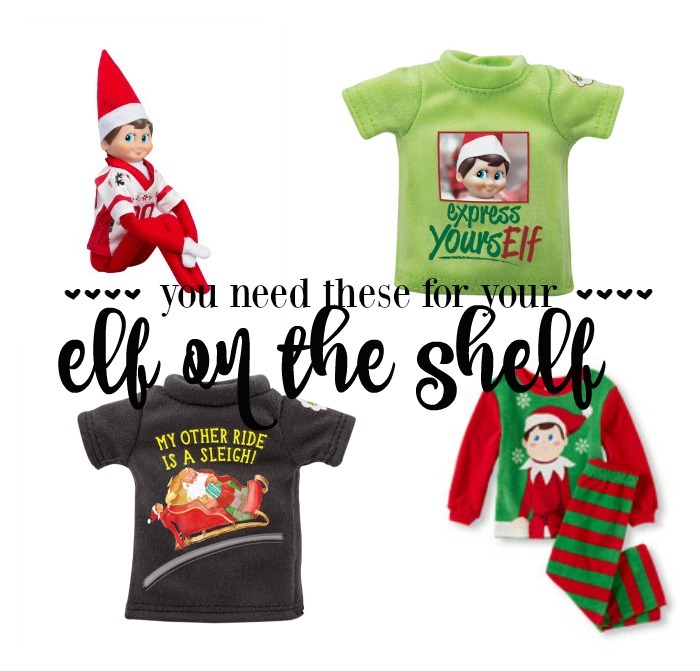 Change up your elf’s look with this super cute Elf on the Shelf Graphic Tee Multi Pack that features some fun holiday gear just for elf. 2. 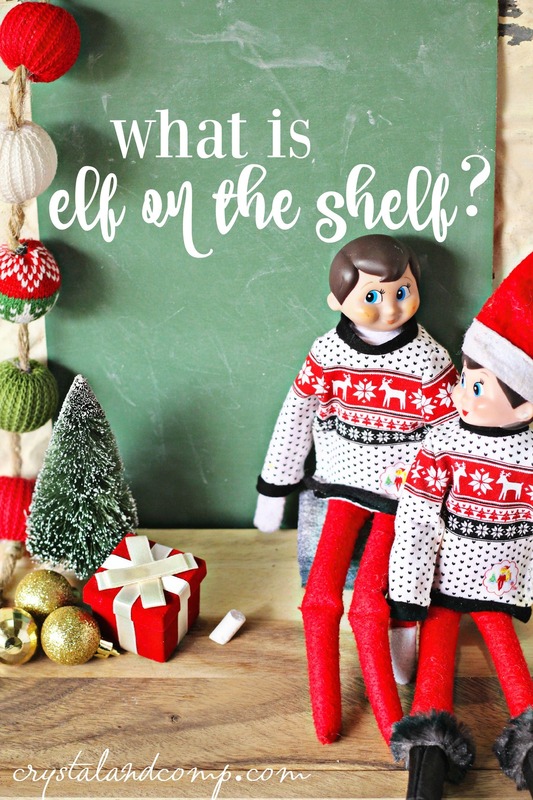 This Elf on the Shelf Reindeer is elf’s best friend and it also includes a story to explain the magic and purpose of reindeer during Christmas. 3. 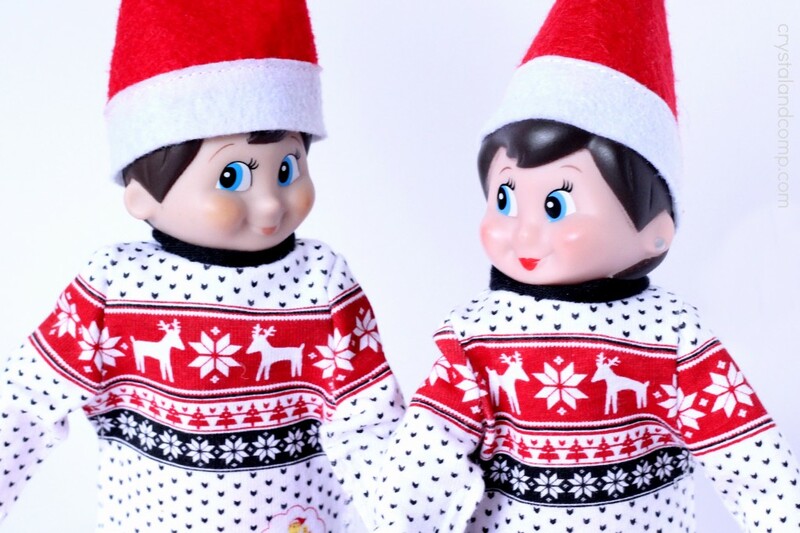 Tuck your elf into these sweet Elf Pajamas perfect for the holiday season. 4. You can dress your girl elf in this Elf on the Shelf Sparkly Dress that screams Christmas cheer. 5. 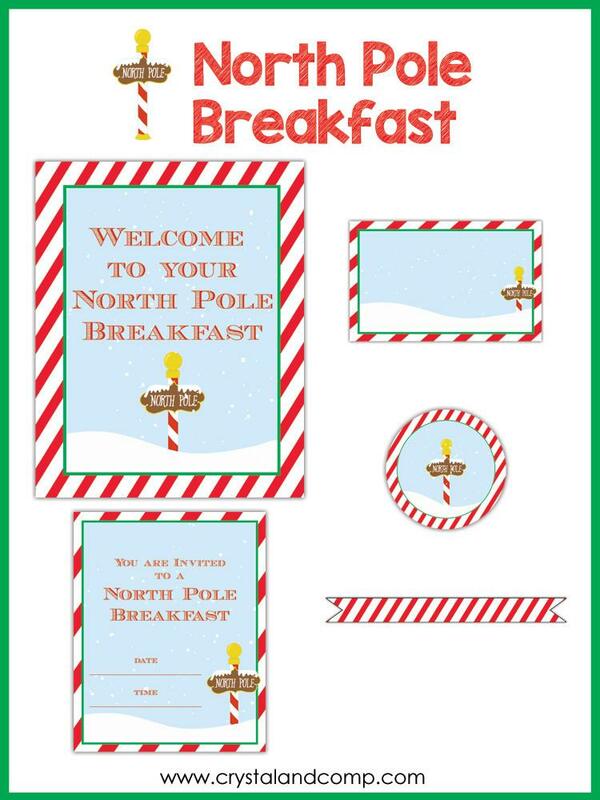 Elf will be nice and warm in an Elf on the Shelf Polar Pattern Outfit that includes a scarf, hat, and gloves. 6. 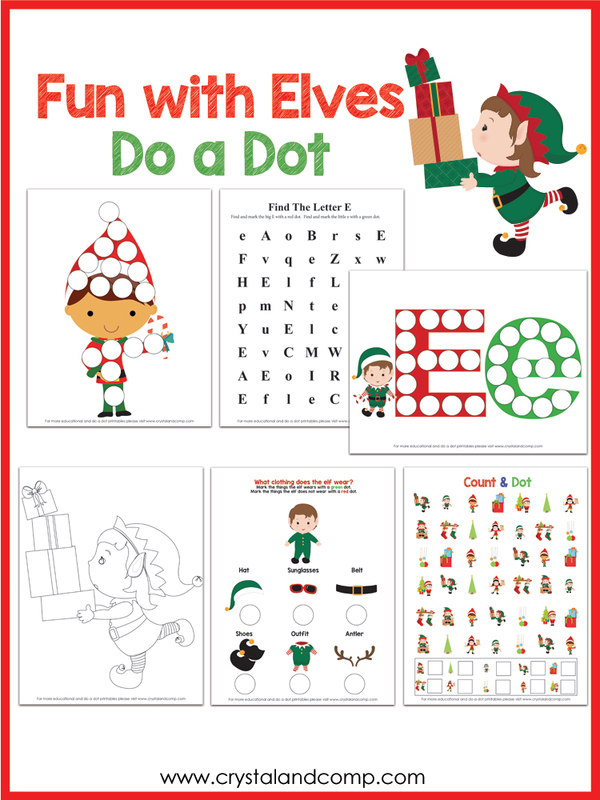 Dress up elf’s reindeer in a cute Polar Pattern Set to match! 7. 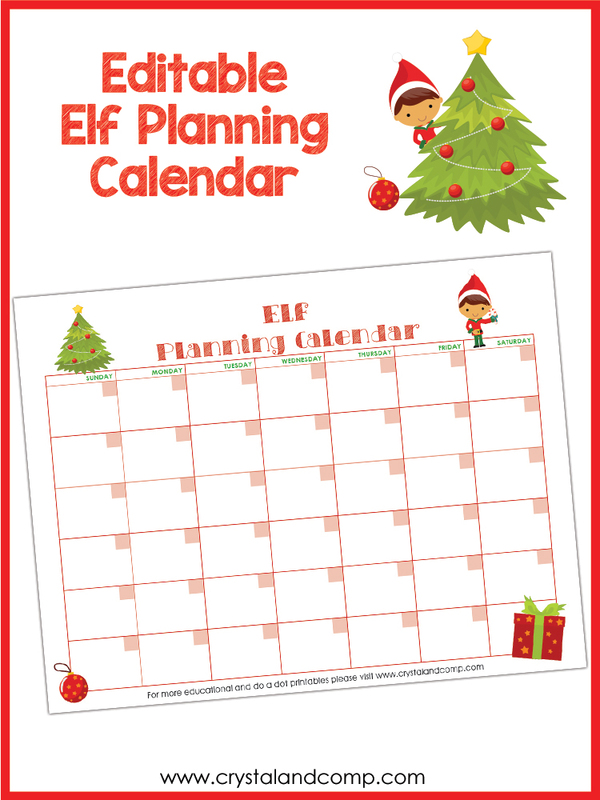 Christmas can also include a birthday celebration with elf using this Elf on the Shelf Birthday Tradition that includes a story and a birthday outfit for elf. 8. Get this Elf on the Shelf Puffer Vest with elf patch and a great accessory for boy or girl elves. 9. Dress up elf for the Christmas festivities in this Elf on the Shelf Dapper Tuxedo. 10. An elf’s job can be tiring so set him up in this Elf on the Shelf Relaxing Robe and Slippers. 11. 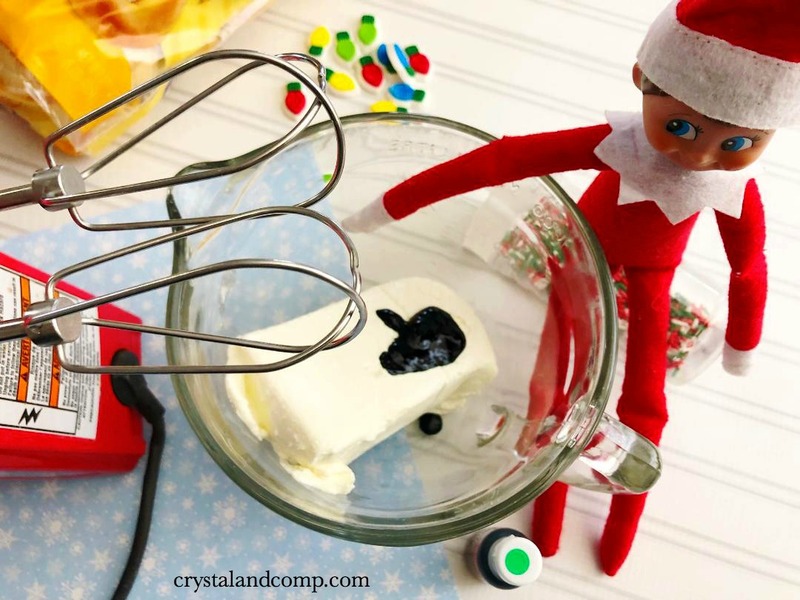 Include elf in your baking this Christmas and use this Little Chef Cookie Kit complete with elf cookie cutter. 12. Don’t send elf out in the cold with this handy Elf on the Shelf North Pole Parka. 13. This Skirt and Boot Set is the perfect party attire for your girl elf. 14. This Elf on the Shelf Team Letterman Jacket is perfect for elf and shows his elite membership to the North Pole. 15. Why not dress up your girl elf in this precious Ombre Skirt and Shoes Set that is dazzling. 16. 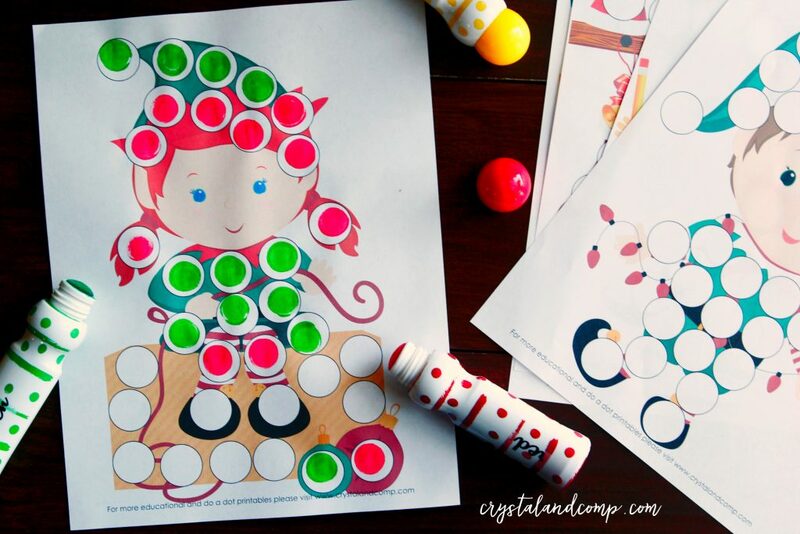 Play along with elf in this Make a Match Game that maximizes memory and recognition skills. 17. This Elf on the Shelf Skirt is a collector’s edition and perfect Christmas attire for your elf. 18. Elf can make a wonderful in flight arrival with this cute Aviator Jacket and Goggles. 19. The wardrobe is just not complete without a Classic Christmas Sweater for elf. 20. This Trendsetter Ensemble with fur vest and skirt is a must for your girl elf. 21. No elf can travel without a trusty Sleigh perfect for his or her big arrival! 22. Check out this adorable Elf on the Shelf Denim Jacket and Sneaker Socks. Do you have something special planned for your Elf on the Shelf? Share your ideas! 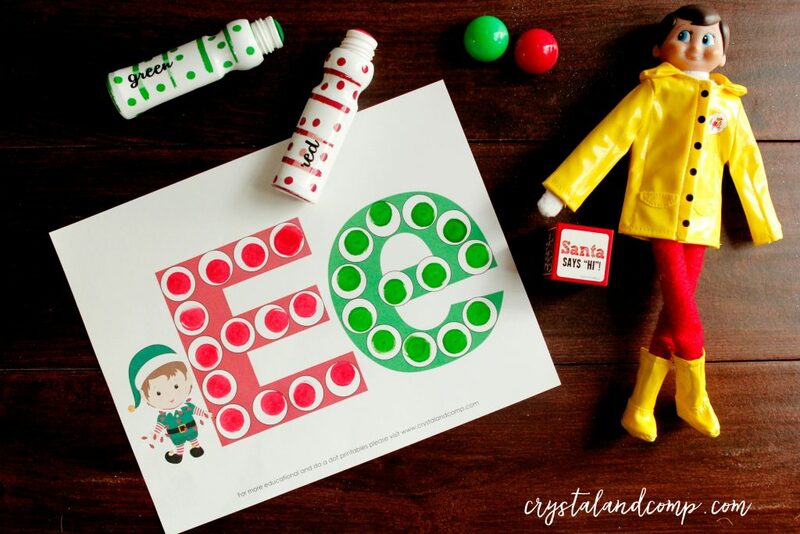 Looking for free printables to use with your Elf on the Shelf? 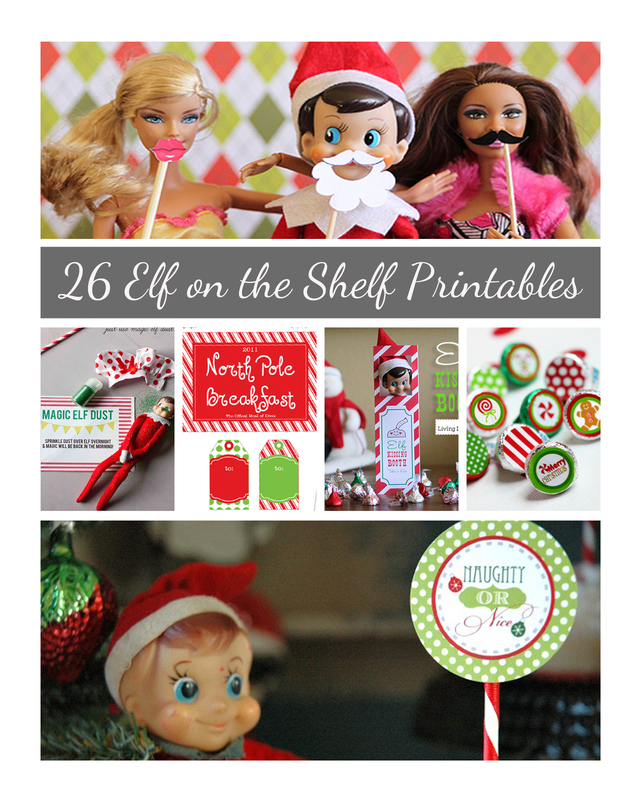 Here are 26 Elf on the Shelf free printables. 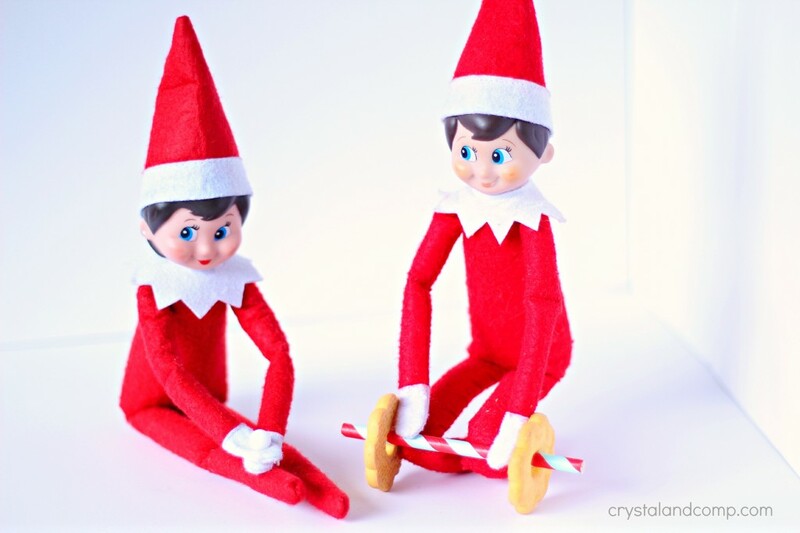 Does your Elf on the Shelf workout? That is exactly what we caught ours doing today! Our girl Elf, Diane, was stretching. Our boy Elf, Jack, was lifting weights. Yes, lifting weights! With a dumbbell made of a paper straw and cookies. I simply used a hot glue gun to secure the pre-packaged shortbread cookies to a festive paper straw that I cut down. I used a thumbtack to pin girl Elf on the Shelf’s hands to her legs to post her as stretching. They need the workout with all of the cookies and goodies we’ve left them! Check out more of our ideas while you’re here! We’ve been having Elf on the Shelf fun for years! 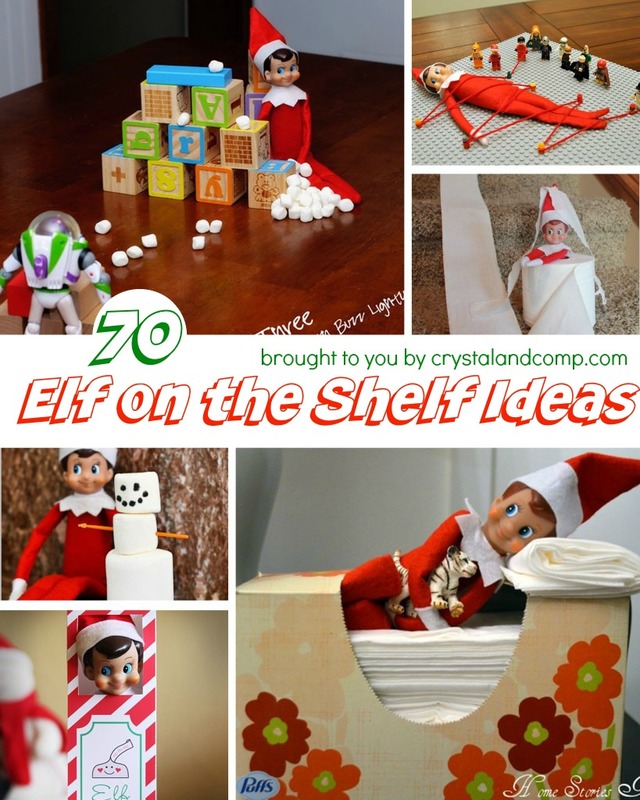 We are all about Elf on the Shelf ideas this time of year! 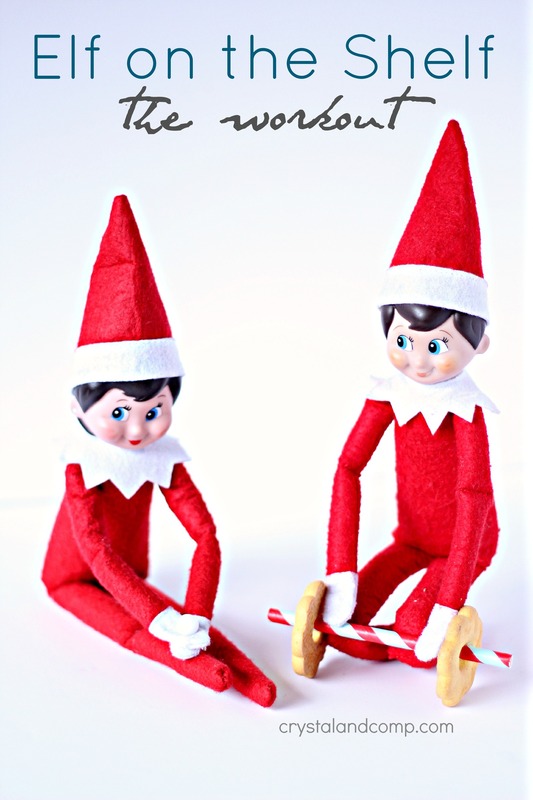 It is almost time for our elves, Jack and Diane MellenELF, to make their appearance. 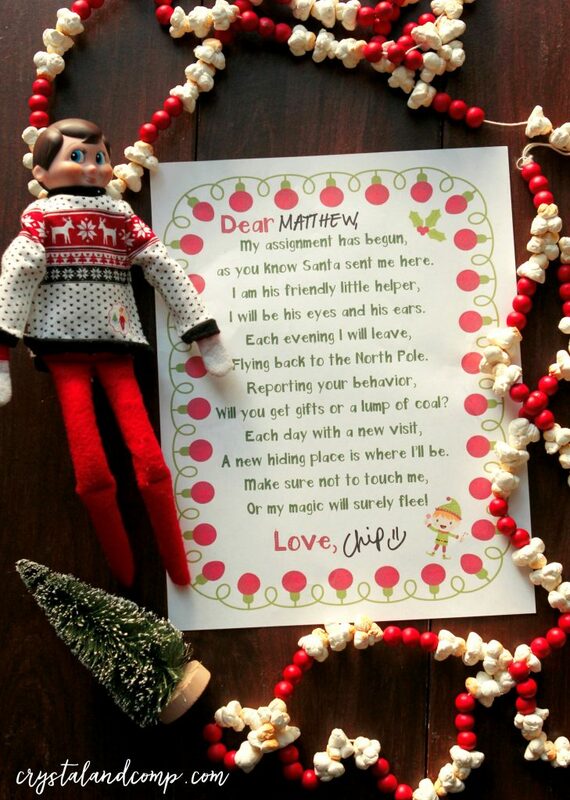 My boys have been asking every day when the shenanigans will start…. I mean after all, this will be our 5th year to join in on this daily excitement!! 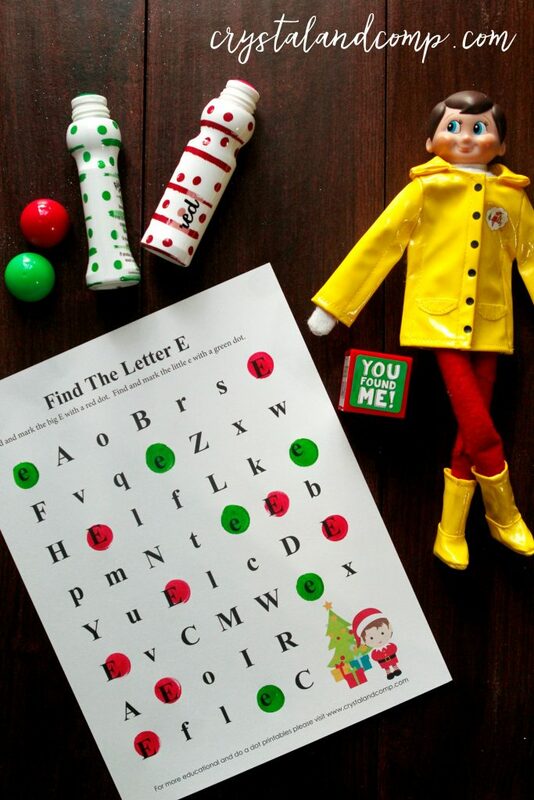 Here is an Elf on the Shelf printable that is perfect for your little ones. This pack is perfect for preschoolers and young elementary school kiddos. 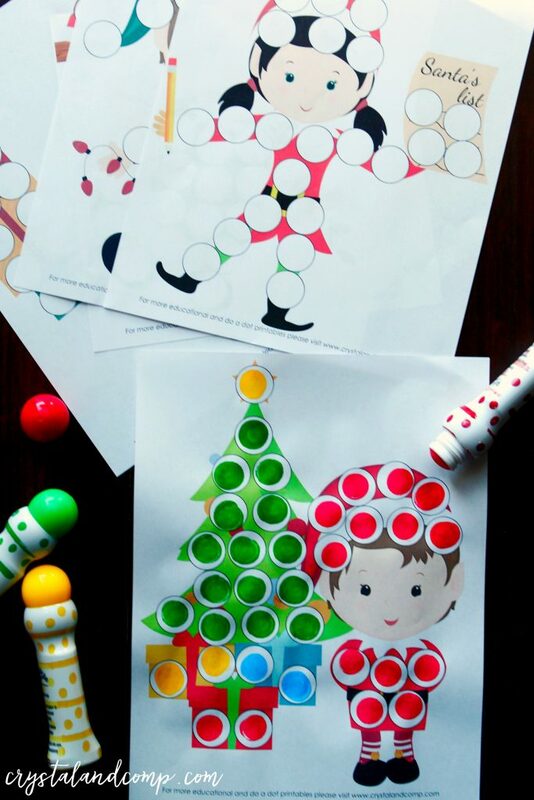 These are perfect for homeschool families (especially anyone doing preschool homeschool), anyone supplementing a public school education or a preschool teacher looking for fine motor activities to do with their littles these are perfect! 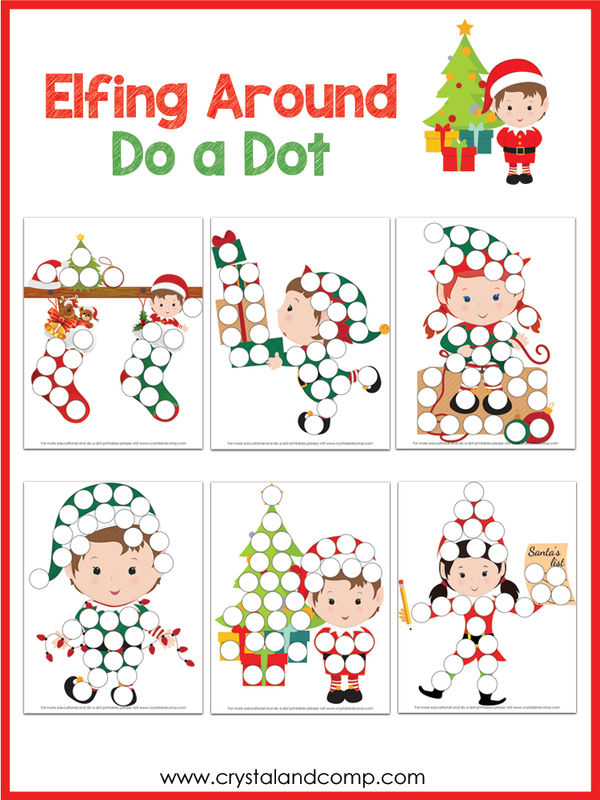 Do a dot printables are the perfect way to build fine motor skills. We love using these dabber dot markers. Little ones build hand muscles, growth in color discrimination, hand and eye coordination, etc. So many benefits. This six page packet is an instant download that will bring hours of fun. 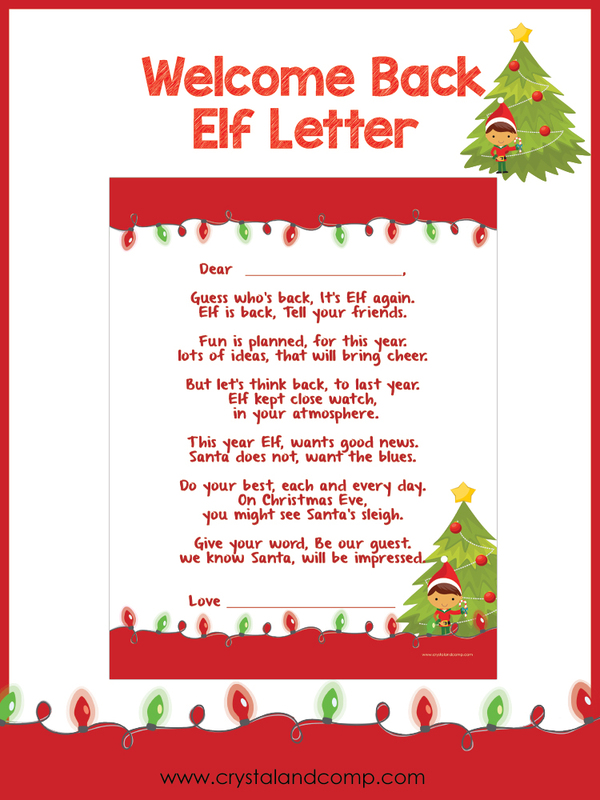 This an also be used as a morning time activity, daily ice breaker in your homeschool day, or maybe this is something your Elf delivers one day to your kiddos. 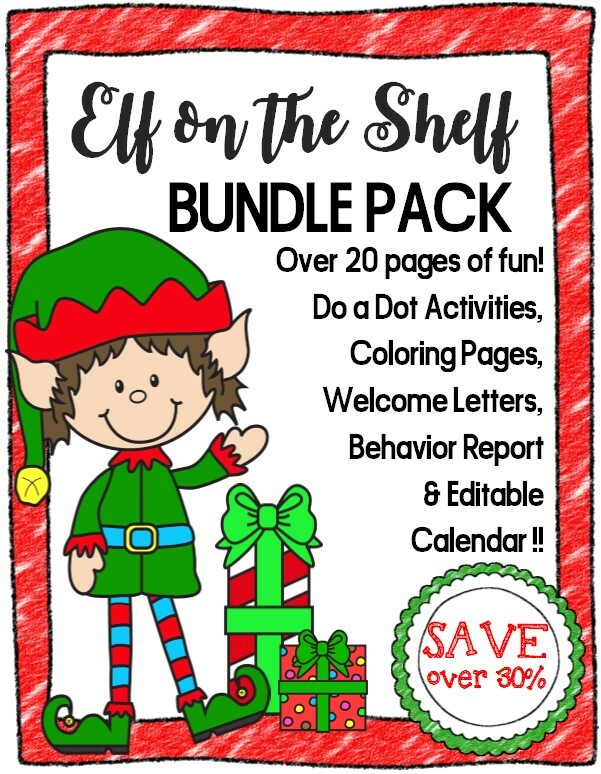 Each page has one cute little Elf on it, some are boy elves some are girls, enjoying a special activity like wrapping presents or hiding in a stocking. Each page also uses different colors for filling in the dots which is an awesome opportunity to talk about identifying colors. 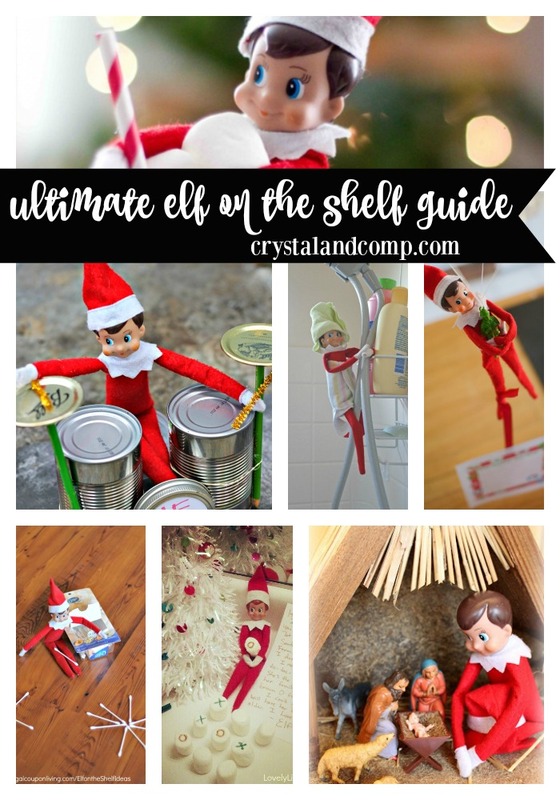 You can download this six page pack right now and start having Elf on the Shelf fun right away!! Do you have an Elf on the Shelf? They are seriously so inexpensive and are a great addition to family fun during the Christmas season. Our house has two elves! 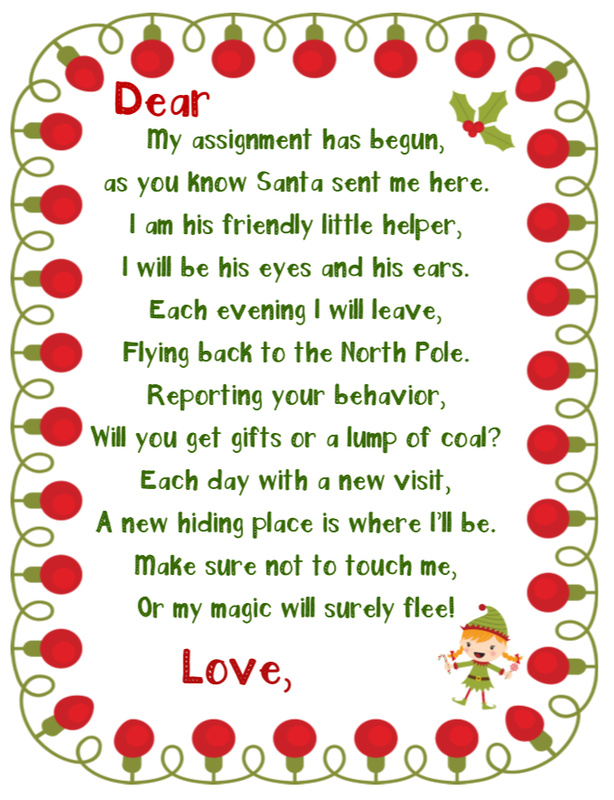 My kids love the excitement that Christmas brings and can’t wait to see what our elves have up their sleeves. These elves have really become the talk of the season starting right about now. 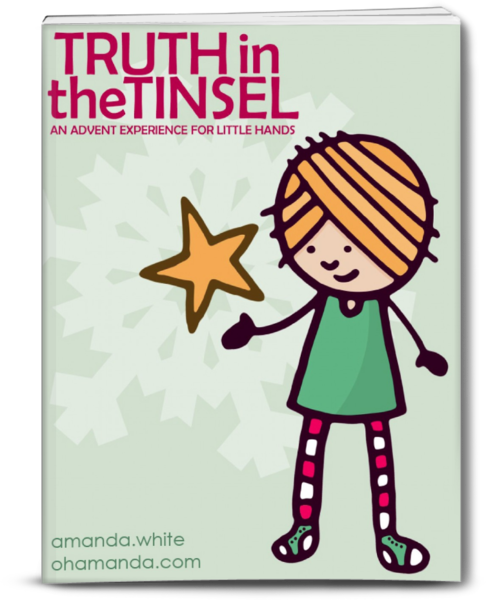 I have shared stories with friends and family and they also love the hear the excitement of what my kids are experiencing with our elves. If you don’t have an elf consider one. Here are some different selections to choose from. They are a lot of fun during the Christmas season and they do add to the wonder and magic of it all. Check out these 25 super cute Elf on the Shelf ideas to get your season started! 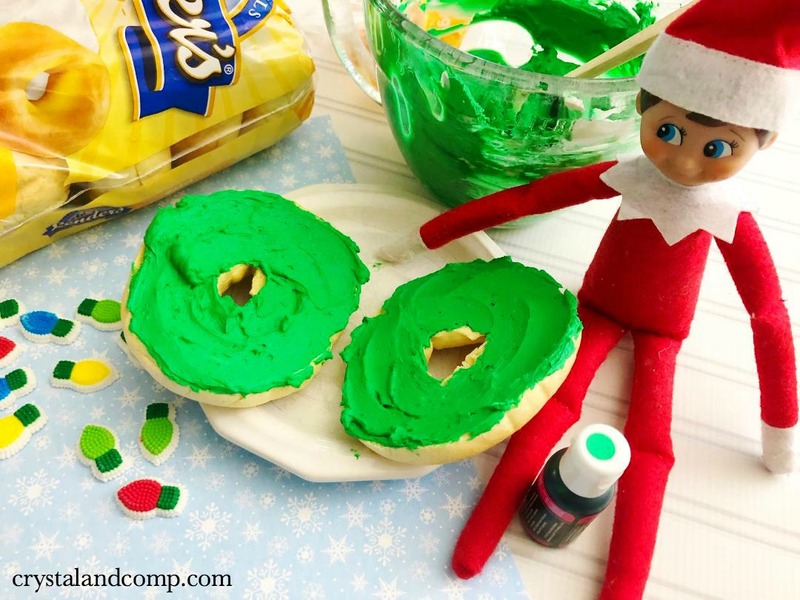 What is your elf up to this Christmas? We would love to hear about them. 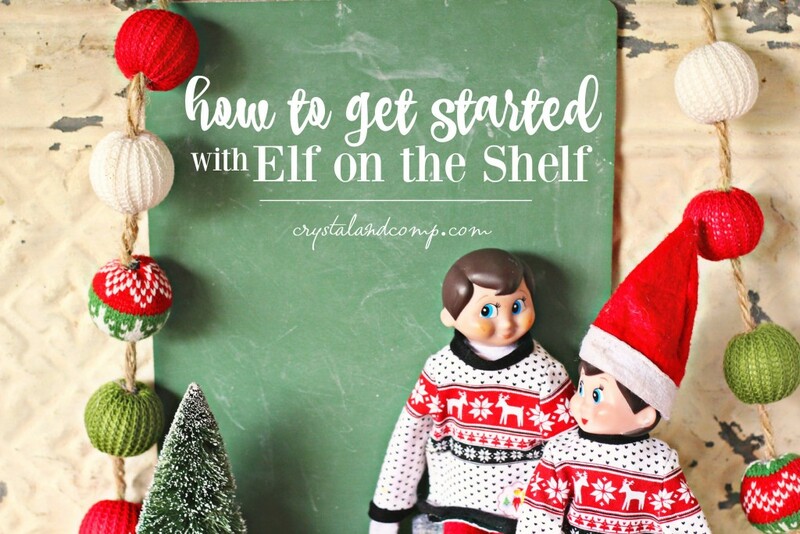 Have you started planning your Elf on the Shelf Ideas for this year? My kids are so excited for Jack and Diane to arrive this year. Yes, we have two elves- a boy elf and a girl elf. Yes, their father is John Cougar MellenELF. 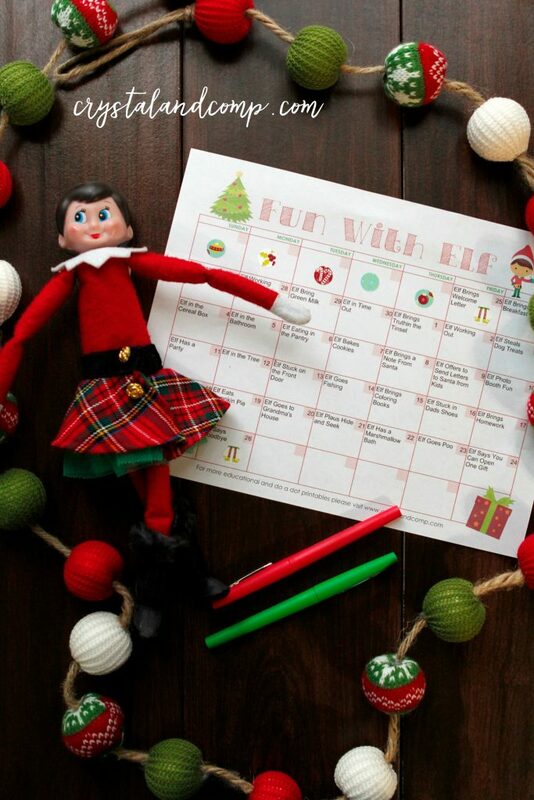 We have created an Elf on the Shelf calendar you can use to plan out your shenanigans and happenings! The best part? It is an editable document that you fill in and print! Now, before you tell me it is too early to be talking about Elf on the Shelf…. understand you are wrong. It is never to early to start thinking about and mapping out your ideas. This stuff is so much fun! And yes, I know, Jesus is the reason for the season. We just like to have a little fictional Elf on the Shelf fun. My kids know this is all fake. Well, maybe…..
All kidding aside, they know that Christmas really is about the birth of Jesus. 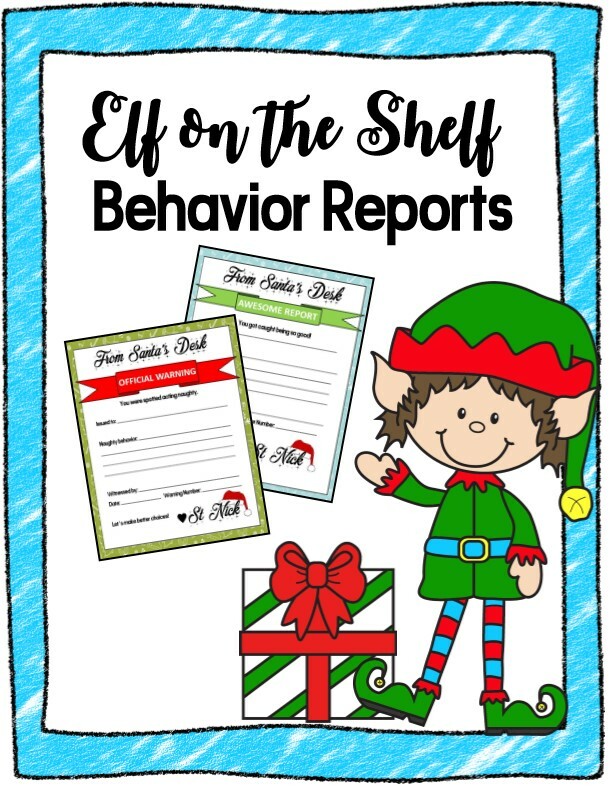 If you need help coming up with Elf ideas, make sure you check out my Elf on the Shelf Printables that I have here for you guys. We literally have HUNDREDS of ideas right here on this site. We’ve been doing this Elf happenings for about 5 years. Now, it might help you to have a printable calendar, so you can map your ideas out. Or, you can be like me and wake up each morning and freak out about where the elves should move to. Either method is effective. One just might cause you to age quicker. 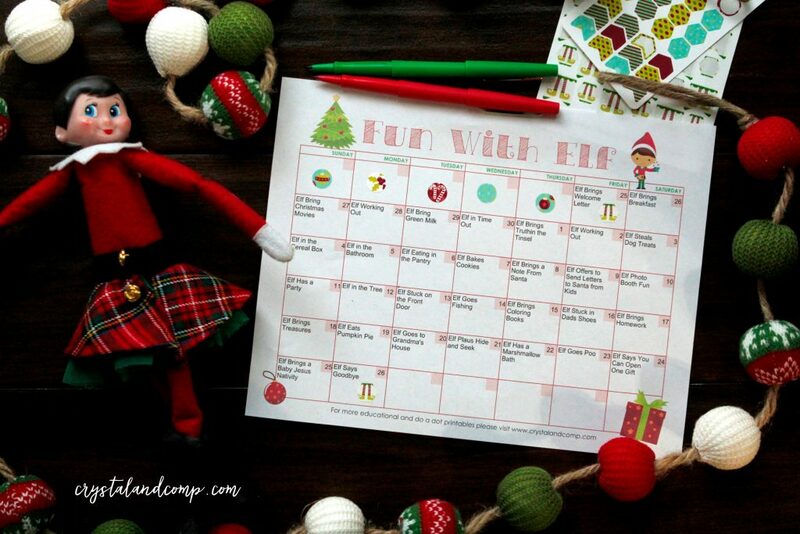 Get your printable Elf on the Shelf calendar that you can edit here! Have fun with it. Your kids will love it!! Don’t have and Elf on the Shelf? Buy yours here! 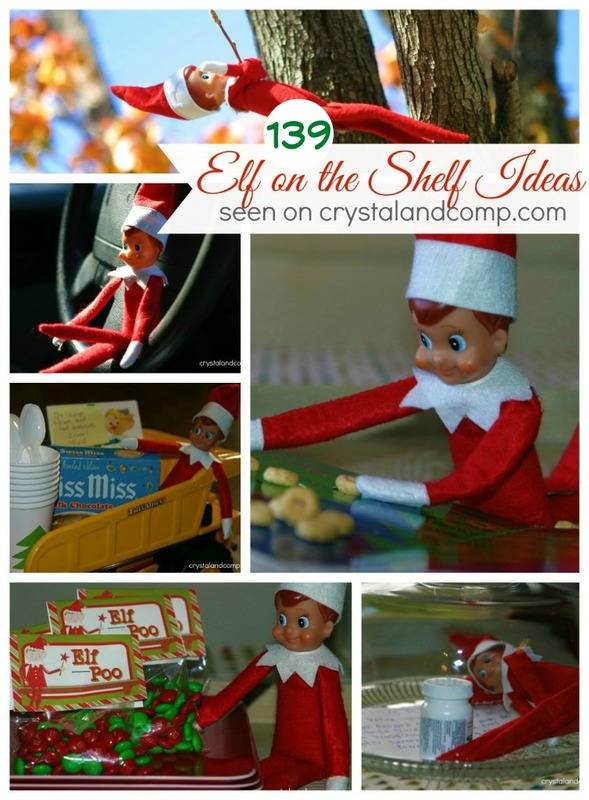 And start filling your calendar up with some of my 139 Elf on the Shelf ideas! Don’t have an elf? Order one and have it delivered to your door step! Here is a place you can to buy Elf on the Shelf.